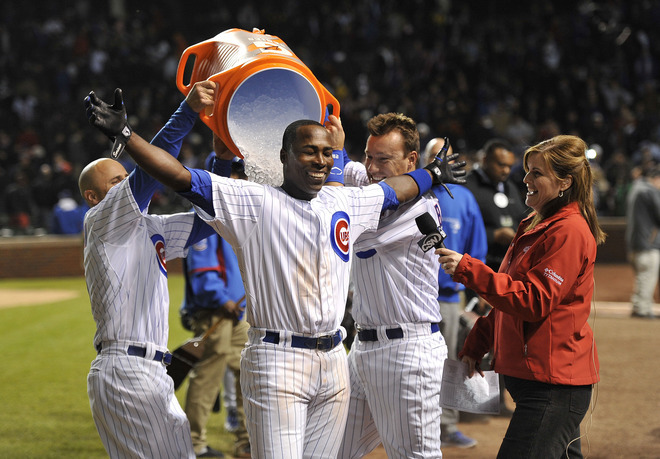 Well it’s official, the Alfonso Soriano era in Chicago is now over, and that comes with mixed feelings among Cubs fans. Soriano carried the Cubs in 2007 and 2008, the first two seasons with the club as the Cubs made the playoffs both years only to fizzle out. During these seasons Soriano was beloved, chants of Sor-i-ano could be heard all over the Country as Cubs fans flocked to opposing teams ballparks during the stretch run. I was one of those fans, I still remember going to Cincinnati in September of 2007 to watch Soriano blast home run after home run as the Cubs closed in on a division title. Post 2008 was a different story, the Cubs are 335-418 since winning the division with a 97-64 record in 2008. This is where most of the mixed feelings come from, Soriano was signed to an eight year contract worth $136 million by then general manager Jim Hendry. There was no way that Soriano could live up to that contract, especially given the fact that his legs basically gave out in 2009 which resulted in a .241 average and only twenty home runs. Soriano had somewhat of a resurgence the last two years which won some fans back, but the majority of the fans that will miss him will miss him for his leadership. As Dale Sveum said yesterday, Soriano is one of the top five professional players that he has been around in this game. His work ethic, his leadership, his ability to play in a big market and never get too high or low based on his performance are things that will be missed. But today is a big day for the Cubs, they have finally moved out of the Jim Hendry era and seem to be pointed in the right direction. The only player remaining from the 2008 team is Jeff Samardzija, the longest tenured position player is now Starlin Castro, think about that, and I think that’s a good thing. Today, MLB approved a deal that is sending Soriano back to the Yankees and Corey Black will be coming over to the Cubs. 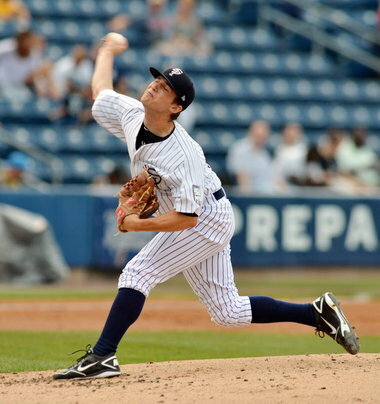 Black is a twenty one year-old right handed pitcher with a big arm. Black has routinely hit 100 mph, and sits consistently at 95 mph, that’s an arm that works in the bullpen at the major league level. As you can imagine, a guy with that arm has a lot of walks, a lot of strikeouts, and doesn’t get hit too often. In 131 innings as a pro Black has given up three home runs, three. So best of luck to Soriano in New York, can’t say that I’m sad to see him leave, but I do appreciate how hard he worked on a bad team, bottom line is that he needed to go in order for the Cubs to completely move forward, and they are ready to do that. What about the money?? Soriano has about $6.5 million remaining on this years $18 million salary, and is owed $18 million again next year. The Yankees will pay $6.8 million of the remaining balance, $1.8 M in 2013 and $5 M in 2014. So the Cubs are still going to eat the majority of the money. Matt Garza was scheduled to pitch for the Cubs tonight, WAS. Per Ken Rosenthal the Cubs have scratched the available right hander from tonight’s start because a trade with the Rangers is very close, stay tuned as we might have a deal to announce shortly. Late last night the news started coming out that Scott Hairston was traded to the Nationals, this morning that news was confirmed. The Cubs have traded Scott Hairston to the Nationals for minor league righty Ivan Pineyro, there was also a mention of a PTBNL but I’m not sure if that has been confirmed, if true it would most likely be going from the Cubs to the Nats. Hairston has struggled this year with the Cubs, but has provided some power off the bench as he has eight home runs in just 99 at bats. The Nationals are also paying the majority of Hairston’s salary as he was signed with the Cubs through next year. The player the Cubs got in return might end up being a steal. Pineyro is a 21 year-old right-handed pitcher that has seen success so far this year at class A, and high A ball with the Nats. The Cubs have reported that Pineyro will report to Daytona and assume a spot in the rotation there, for the year Pineyro is 6-3 with a 3.24 ERA with 72 strikeouts in 77 innings. For the time being the Cubs have called up Brooks Raley to help out in the bullpen tonight against the White Sox. There is some discussion in the organization that Junior Lake might make sense as a call up, currently the ultra talented outfielder is tearing up Iowa, hitting .315 with all sorts of slugging numbers. Odds are the Cubs aren’t going to speed up his development, and Jon Heyman reports that the Cubs would like to use Lake as their righty platoon in RF next year. Fast and Furious 11… sorry. 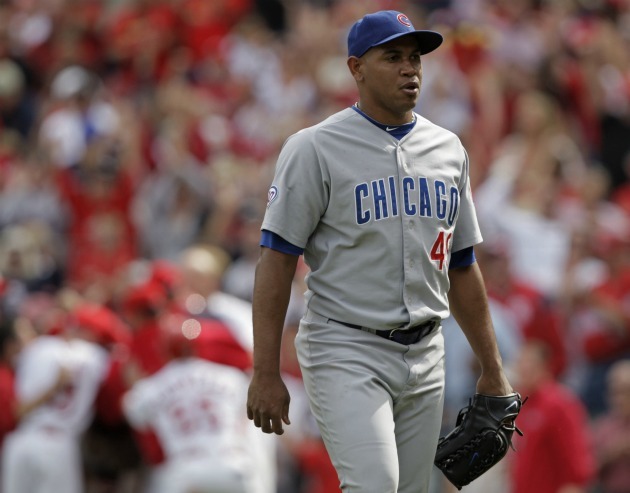 The Cubs have announced, well I think the Dodgers actually announced it, but anyway the Cubs have traded Carlos Marmol to the Dodgers along with international bonus money (4th slot) for relief pitcher Matt Guerrier. Clearly the Cubs had to throw money into this deal or the Dodgers would have never taken it considering they were dealing with zero leverage here. I assume that the money the Cubs just got from the Orioles in the Scott Feldman trade went to the Dodgers or at least made the money even for the Cubs so they wouldn’t feel so bad about losing it. Guerrier is not going to improve this team down the road, but he helps the Cubs get rid of Marmol and his money which is never a bad thing. Pretty impressive that Jed and Theo could move Marmol in this situation, maybe he figures it out, he wasn’t going to do so here. Countdown to the Deadline: Casey Coleman Scratched, Here We Go? 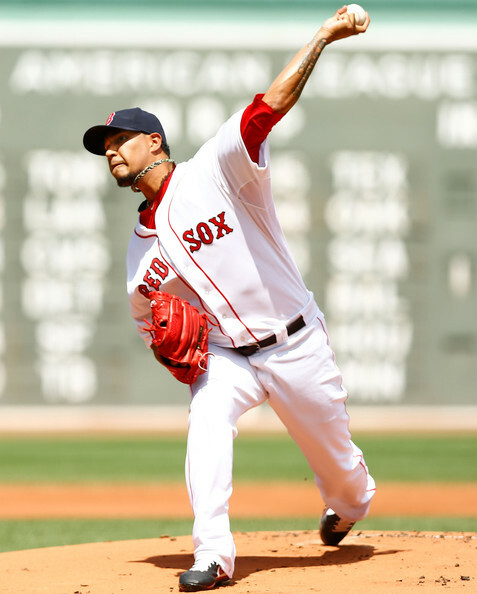 Things might be ready to go down in regards to a Dempster trade. Casey Coleman was a last minute scratch for the Iowa Cubs tonight. Why does this matter? Well when Dempster gets traded the Cubs need a pitcher to step in and take his spot. His next turn is tomorrow in St. Louis, the Cardinals are very interested in Dempster, how weird would it be for Dempster to indeed pitch tomorrow but against the Cubs as a Cardinal. Sorry if I blew your mind. Stay tuned. 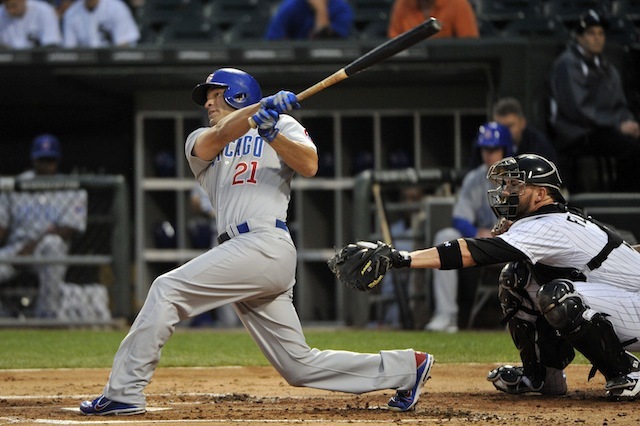 Author bornonthirdcubsPosted on July 19, 2012 July 19, 2012 Categories 2012 Regular SeasonTags cardinals interested in Dempster, casey coleman scratched, cubs trade rumorsLeave a comment on Countdown to the Deadline: Casey Coleman Scratched, Here We Go?